The paint jobs in heavy-traffic areas of a home often take a beating, especially when kids are present. It is a rare child’s room that has no scuff marks, handprints or even dings somewhere in it. So, you can expect to need to repaint these rooms more often than other areas of the house. There is another culprit, however, that wreaks havoc with your paint job, and you can’t pin this one on the kids. The malady is that pesky problem of peeling paint. If you were a prudent person, you probably bought the best paint on the market, hoping for durability and good coverage. And, even though you might have taken all the care in the world when you did the paint project, or, even had a top New Jersey painter on the job, it does not make you exempt from peeling paint. There are many reasons why paint will begin to peel off a painted surface. In general, paint will peel because of an issue with its initial adhesion. Perhaps when the wall or surface was painted, sufficient time was not allowed to dry between coats of paint, or the primer and paint. This permitted a minute amount of moisture to be present in the painted surface and it interfered with the adhesion of the next coat of paint. It seems unbelievable, but even a small amount of moisture will allow mildew to grow and the paint will start to lift from the surface. Paint will also peel if the surface where you applied the paint was not pristine and dust free. 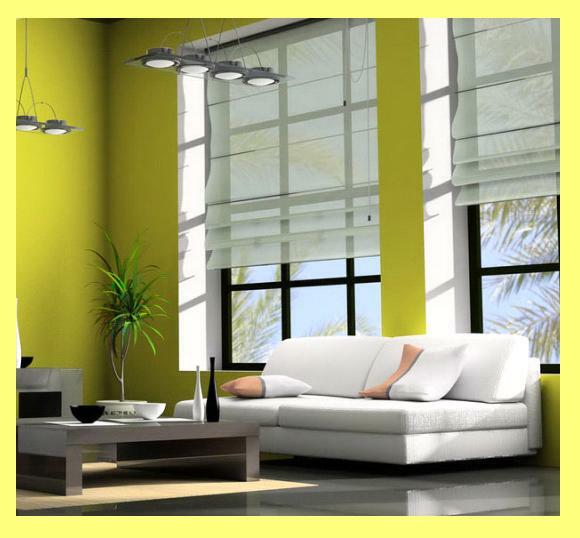 Particles of dust will not allow the paint to properly adhere. Lastly, as mentioned above, it is best to go with a reputable brand of paint, known for its durability and coverage, and not skimp and buy a cheaper brand as it might fail to adhere properly. Nothing zaps a homeowner’s enthusiasm for home improvement than doing a big project, only to have it fail miserably for one reason or another. You could consult with a professional contractor who is experienced in residential painting to see what your best recommendation to fix that peeling paint might be, or, you could try to fix it yourself. If you choose the latter idea, here are the steps for rectifying the peeling paint issue. Clean the surface to be repainted thoroughly to ensure all dust and oils are gone and no paint particles remain. Use a solution of 1/2 cup of trisodium phosphate per gallon of water to accomplish this task and to thwart any further paint peeling. In the case of mildewed surfaces, add 1-2 ounces of chlorine bleach to the water. Rinse with clear water and let the surface sufficiently dry. If it is a metal surface and rust is present, you must remove the rust and treat the areas with a rust inhibitor product. Paint this product on any rusted areas, taking care to let it dry sufficiently. Your next step is to apply a primer coat to ensure the best adherence of your paint. The most-popular types of primer are oil- or shellac-based. The primer is necessary as it contains adhesives which will bond more securely than paint, and the paint then will bond better to the primer than to the bare wood, drywall or metal. Allow the primer to dry sufficiently before applying the paint. Apply one or two coats of paint, allowing each coat to dry thoroughly. 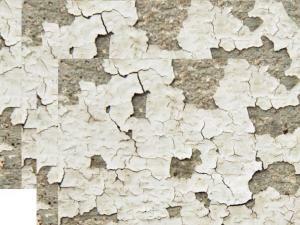 Remember that to avoid peeling paint in the future that quality paint and patience are key to a good paint job. The old adage that “you get what you pay for” is true for most things, especially paint …and, even the paint brushes you use for the job. It is better to invest a little more money into good quality paint brushes than to find bristles slapped on the surface along with your fresh paint. Patience is a virtue in a paint project …never rush a paint job and allow the primer and coats to dry thoroughly, thus avoiding peeling paint down the road.